Unique reading experience for toddlers and up. 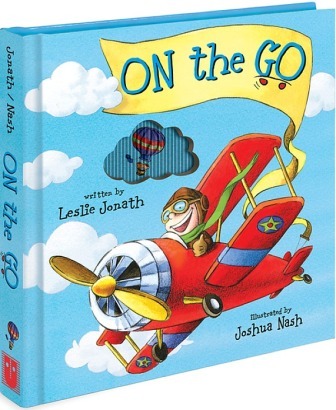 Written by Leslie Jonath and illustrated by Joshua Nash, On the Go comes in a handy, mini-book format. 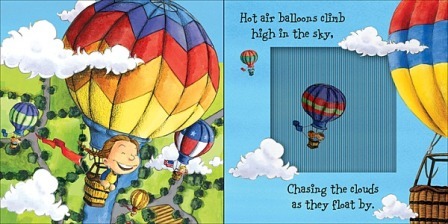 From roller coasters and race cars to hot air balloons, pogo sticks, and snowboards, the special AniMotion windows on each page add real-time movement to the story's rhyming text.